Asian stocks shuddered lower on Friday after the European Central Bank slashed its growth forecasts and surprised everyone with a new of policy stimulus, leaving investors fearing the worst for the global economy. In Asia, Shanghai blue chips slid 2.0 percent to retrace some of their recent stellar gains, while the dollar climbed on the yuan. Japan's Nikkei dropped 1.6 percent and Australia 0.8 percent. MSCI's broadest index of Asia-Pacific shares outside Japan skidded 1.1 percent to a two-week trough. 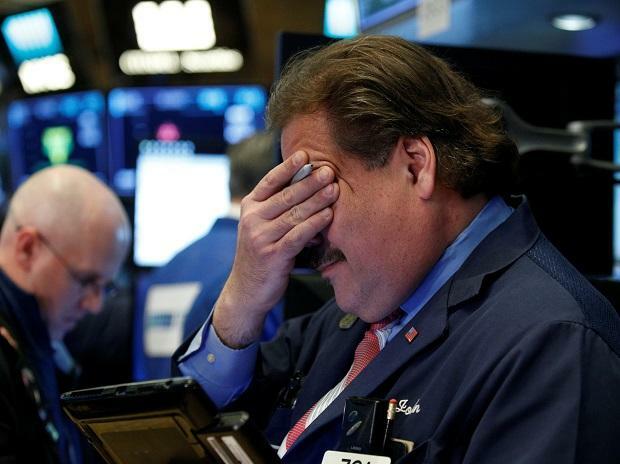 The Dow fell 0.78 percent, while the S&P 500 lost 0.81 percent and the Nasdaq 1.13 per cent. The closely watched Dow Jones Transport Average fell for a 10th straight session, the longest streak since February 2009. The next hurdle for investors will be U.S. payrolls data for February, with analysts uncertain how much payback there might be for January's outsized jump. There was also a chance the jobless rate could fall by more than forecast given the recent strength in employment. The greenback reached a new 2019 high against a basket of currencies and was last at 97.627. The euro cowered at $1.1189, having suffered its biggest one-day loss against the dollar since June 14, 2018 when the ECB last pushed back plans for a rate hike. The euro also shed over 1 per cent on the yen overnight and was last trading at 124.70 yen. The Japanese currency was one of the few to hold its own on the dollar at 111.50. In commodity markets, the rise in the dollar restrained gold to $1,286.27 per ounce. Oil prices eased as U.S. crude output and exports climbed to record highs, undermining efforts by producer club OPEC to tighten global markets.